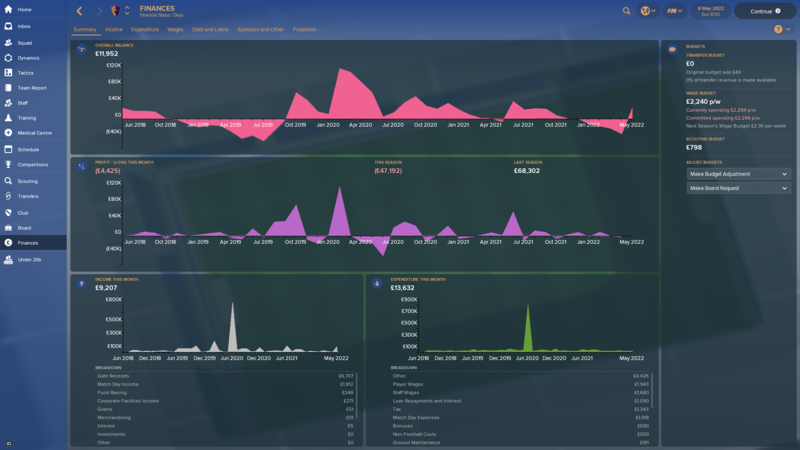 I will be detailing my career over on the careers forum and you can find it here. I will be listing the required posts in this thread too, as required. My opening club post is detailed below. League - Dafabet Welsh Premier League (top tier). Stadium - Bridge Meadow Stadium, Haverfordwest. Capacity - 2,400 (1,050 seated). Training Facilities - Below average. 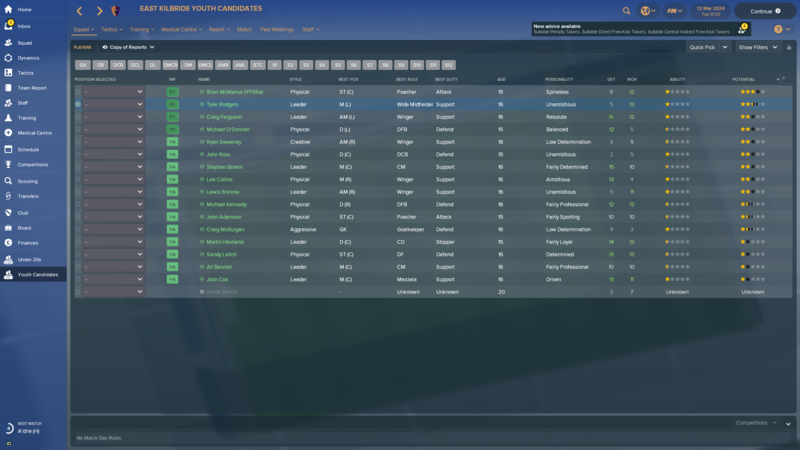 Youth Recruitment - Fairly basic. My expectation - 10th and survival. 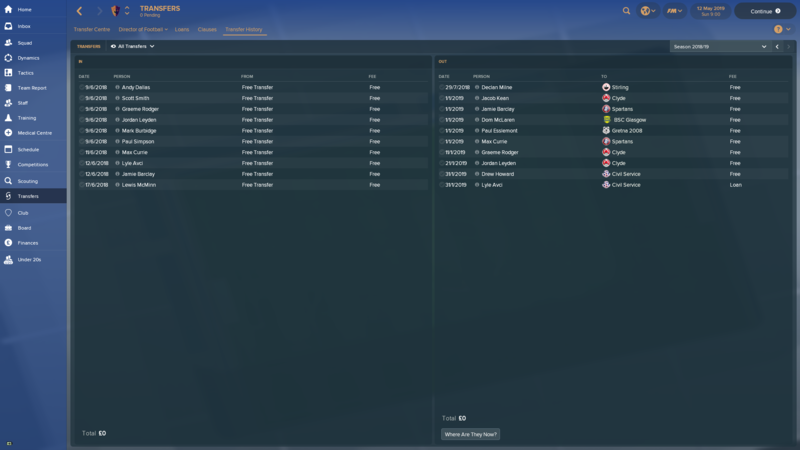 Wage Budget - £3,730 per week. 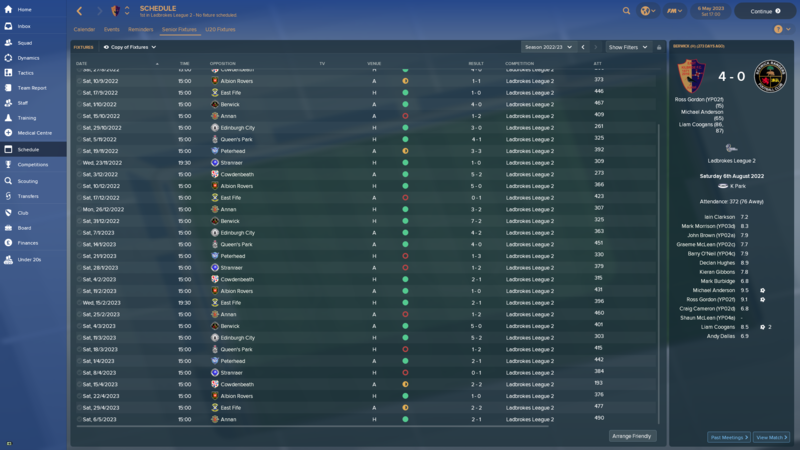 Current Wage Bill - £1,007 per week. I should have enough so survive. A healthy bank balance to start. 2018/19           N/a                N/a               Dafabet Welsh Premier League                                                          Appointed on 25 June 2018. Going to give this a go in France. Not only unknown but with no badges - how will he fare? Result - my board will fund my 1st badge. @darren1983 Thank you - it's years since I've managed in France - I'm taking a break from Dafuges challenge. Still playing on Touch though, so that might be a bit more difficult, but I will compesate by chosing a club with good starting facilities. Anybody still doing this challenge playing FMT? I am considering it. 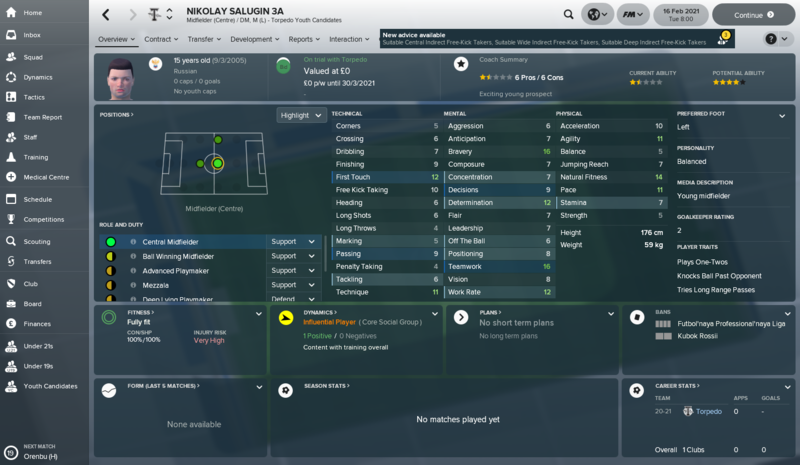 I understand that in FMT the youth intake is not as broad as in the full game, but you still get some new players in every year, even at the lowest levels, dont you? 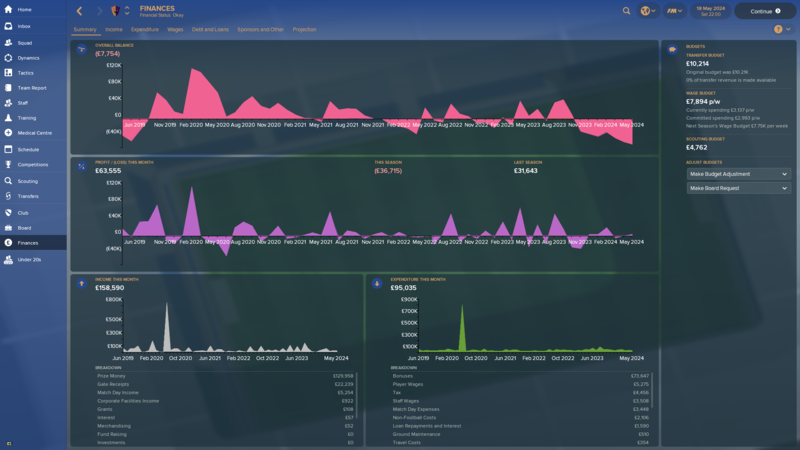 Any suggestions for clubs to manage? 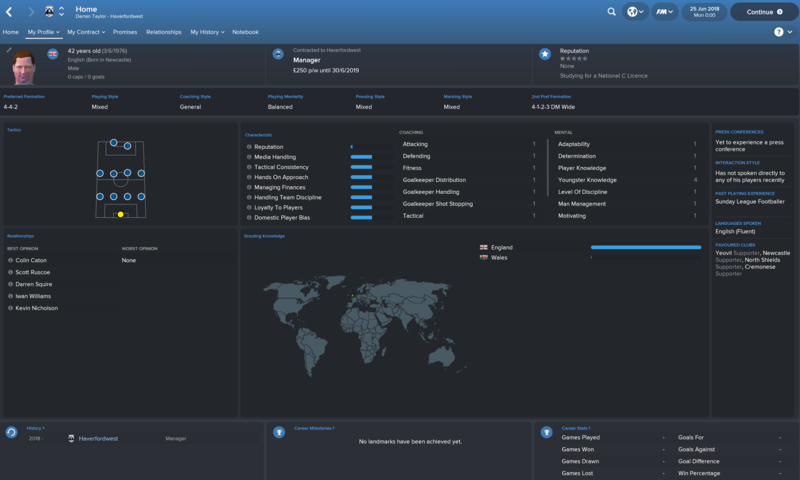 I have decided to try this out, on FMT, managing Messina in Serie C/C. This way I can compare fortunes with Darren. Well that went well. Sacked after losing our first eight games. Nothing worked tactic wise. Last year at Sassari Calcio the first intakes were so small, 3-4 players. 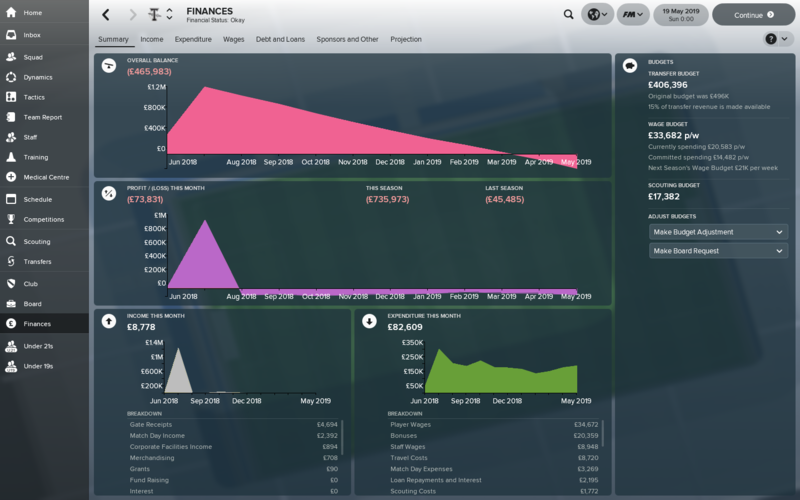 At other clubs with better facilities this increased to maybe even 10 further the career. I guess it's a bit tougher if you are starting with a small squad in the first years, though if you look at some of the intakes of guys here on full fm only few of the youth make it anyway. if you look at some of the intakes of guys here on full fm only few of the youth make it anyway. Yeah, that is what I have been thinking, and I guess it was supposed to work as well. I will give it a go! Have just been beaten 8-0 by Man City, this Premier League lark is quite hard - I have 2 points from my first 11 games! 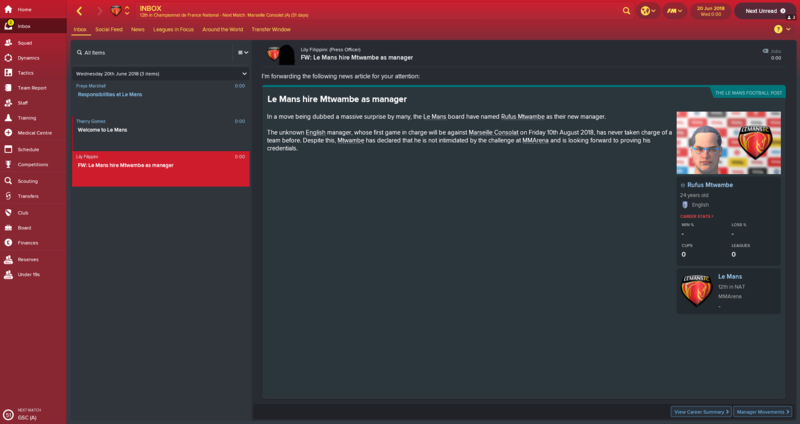 Due to personal reasons I won't be able to play football manager for a while, so I thought I'd leave a quick update in this thread. We ended up making it to the playoff final and experienced one of the craziest finals I've ever seen. 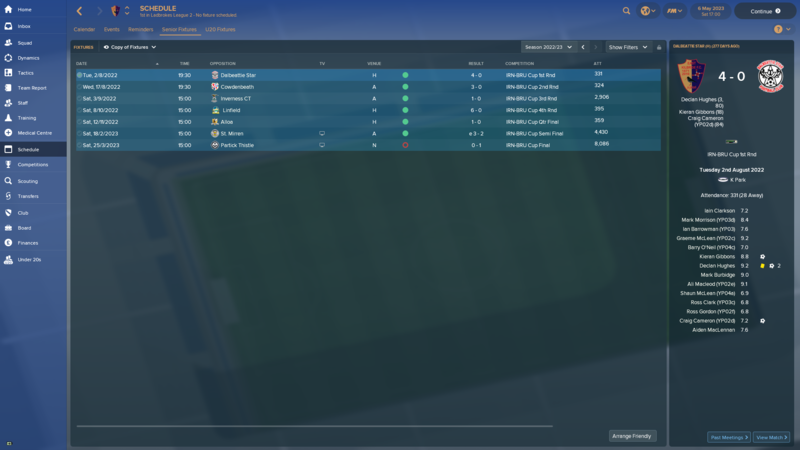 I'll post a full season update when I come back to FM, but for now I can enjoy our status as a premier league team without worrying about how we're going to get thrashed every game. Oh, and good luck to all those starting new games. A totally insane game pulled back from 4-1 down to go 5-4 (with one of my strikers scoring all 5) only to concede yet another goal from a throw in to make it 5-5 in the 93rd minute! Cups (Results) - I won't dedicate much space to this section, a really disappointing effort in the cups and despite becoming a better team we have lost our giant killing ability. League (Final Table) - With my expectations extremely high and with holding onto all the key players I hoped promotion would be a formality. After 10 games I was hugely disappointed and realised how frustrating this was going to be. We were sat in mid table and had played poorly, but it looked like our form was turning around. We had phases of consistency, stringing together runs of wins followed by 2-3 poor performances, this moved us up the league. After 26 games we were within 3 points of the league leaders. 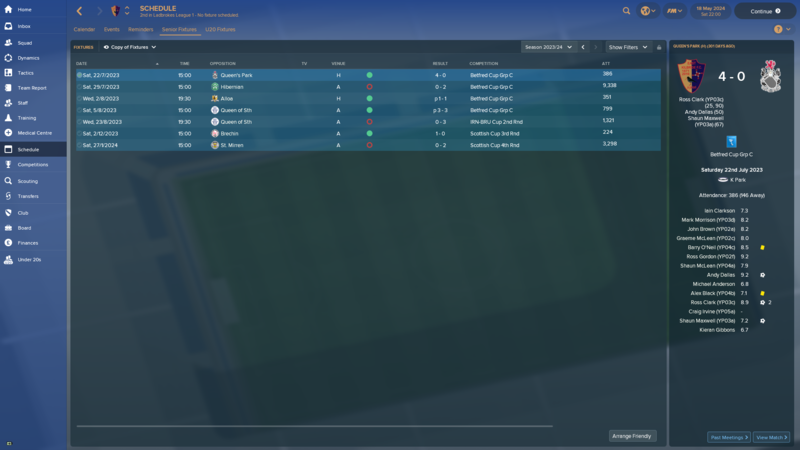 Just when I thought promotion as league champions was still possible, we entered our worst run of form. Despite the relatively kind fixture list we only managed 4 wins from these 10 games and had to settle for 3rd place and the playoffs. 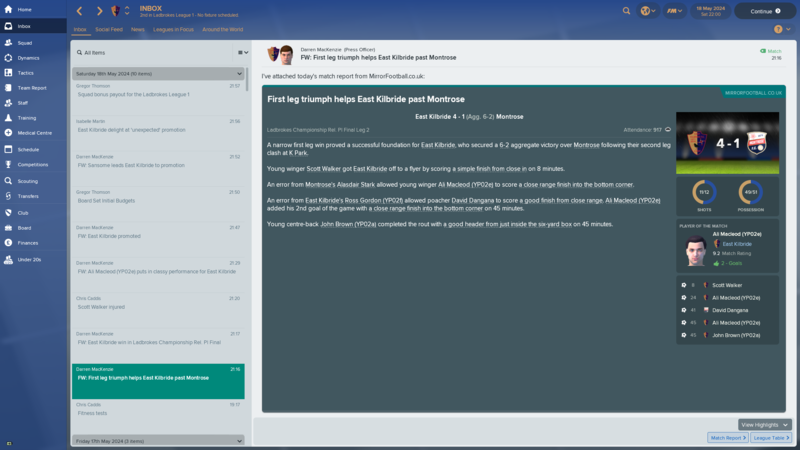 A frustrating 1-1 draw at home to Stranraer was a missed opportunity and they punished us in the away leg coming from behind to beat us 3-2, there striker bagging a hatrick and breaking our hearts. I really like a couple of players in this intake and whilst it lacks the volume of decent players, the ones who will get to the first team look ready now. Shaun McClean (YP04a) - The star of the intake and really well rounded for a centre mid. Will be added to the first team. Scored and assisted on debut. Alex Black (YP04b) - Slightly in McClean's shadow, but great nonetheless, needs a little more work. Barry O' Neil (YP04c) - A much needed left back, lacking in technical ability but good mental and physical profile. David Henderson (YP04d) - A centre back who will be trained as a left back. Needs a bit of luck to make it, he is very pacey though. My solution to combat all the vultures trying to steal my best players is to set asking prices on all players that are relatively low. I have to deal with lots of offers but my chairman is never tempted to go over my head. This means my transfer history for the first time is amazingly empty. Nothing else really happened this year, so I will just speed straight into next season and hope we don't fluff our lines again. Hi guys. I have choosen Rugby FC, league is Midland football league in England. Curently i'm playin third season, but i will post some pictures from last two seasons. In first season i did't do anything, but youh intake was realy great. 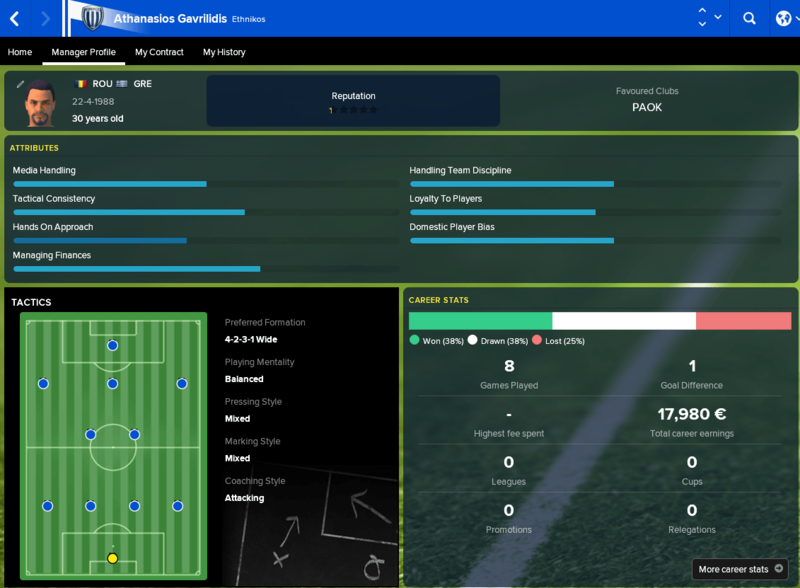 Unfortunately i lost my best regen who sign for Bath on free transfer, and that is beacuse i can't anymore sign part time contracts, only non contract. I don't know why is that. 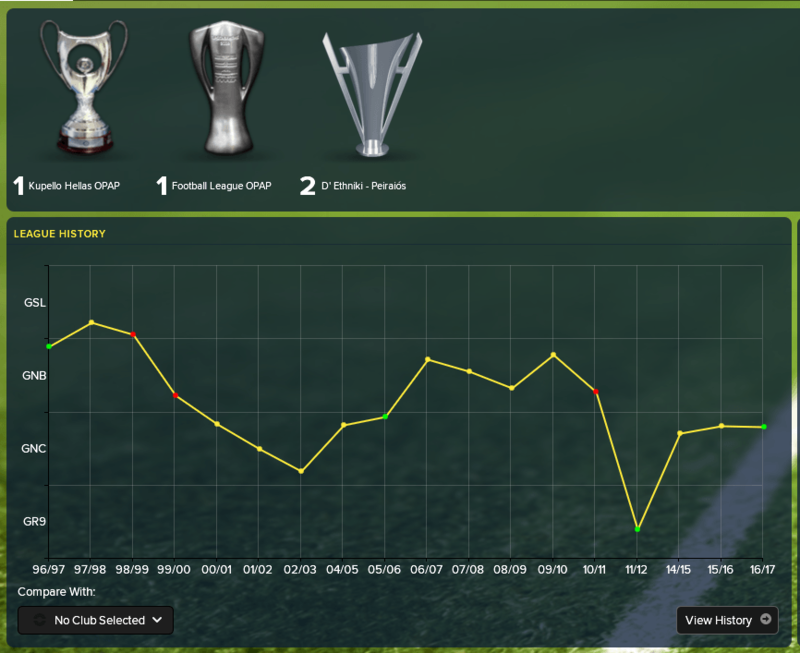 In second season i manage to gain promotion, with my new 433 tactic. With more great regens for this stage. And finally, im curently in month December in my third season and i'm doing very well, but i will post images at the end of season. 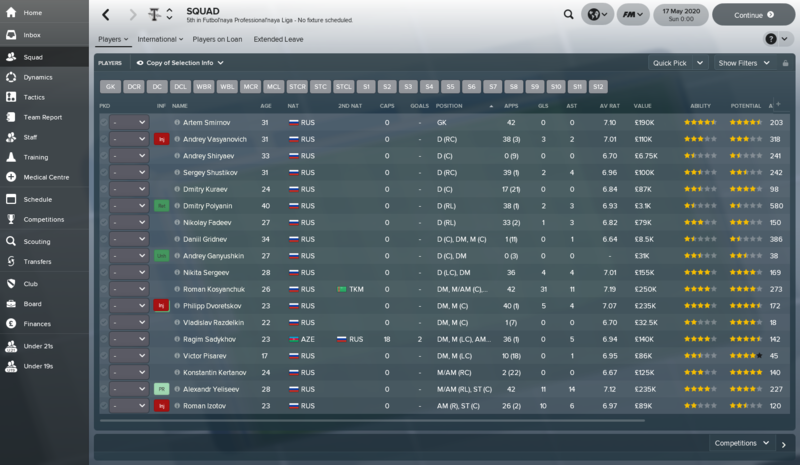 But still i have problem with signing new contract for my players. On that way i lost one more important first time player. He joined to Thurrock beacuse i could't gave him a part time contract. Other teams in league can sign new contracts and new players with part time contract, only i don't have that option. Can anyone helps me with tat problem? League - The season is over and man was it brutal but we scraped by to safety. Started the league off with just 1 win and 7 losses..OUCH! Things improved and we then won 3 out of our next 5 and then after that we were just bad and inconsistent. We could not keep the ball out of the back of our net. 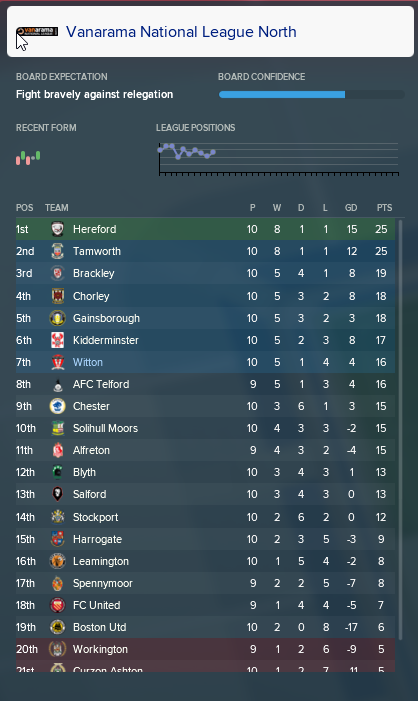 About 3/4 of the way into the season I was preparing myself that relegation was a real possibility and only managed to stay up by a single point. As the league table shows our goal difference was by far the worst and we definitely were the worst team in the league but managed to get 2 more wins then Volendam. Our savior was Aimane M'Rabet who was actually the leagues third top goal scorer. Transfers - Not in of course and 2 out. Both were back ups who were still on Amateur contracts that I would have kept around for tutoring as but they started complaining about playing time so off they went. Facilities - As mentioned above, due to our financial situation I was able to have every request accepted once I got past the new to club spell at the beginning. I am eagerly waiting for the next upgrade to pop up in the board request section. 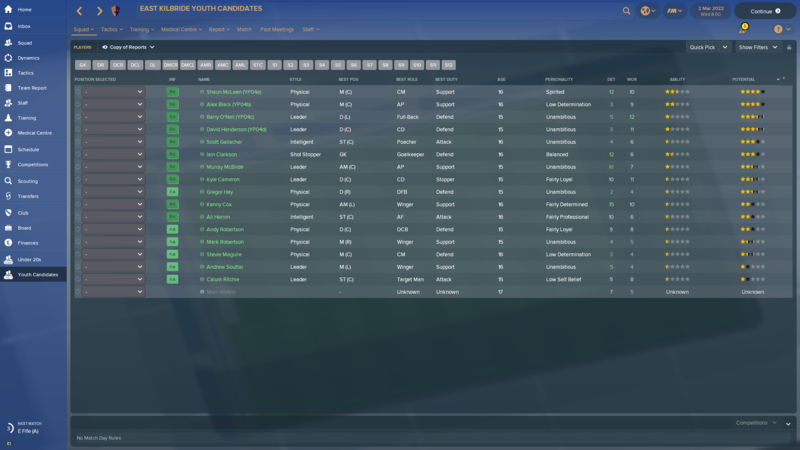 Youth Intake - Received a few good players in this intake who already have made contributions in the last few games of the season. 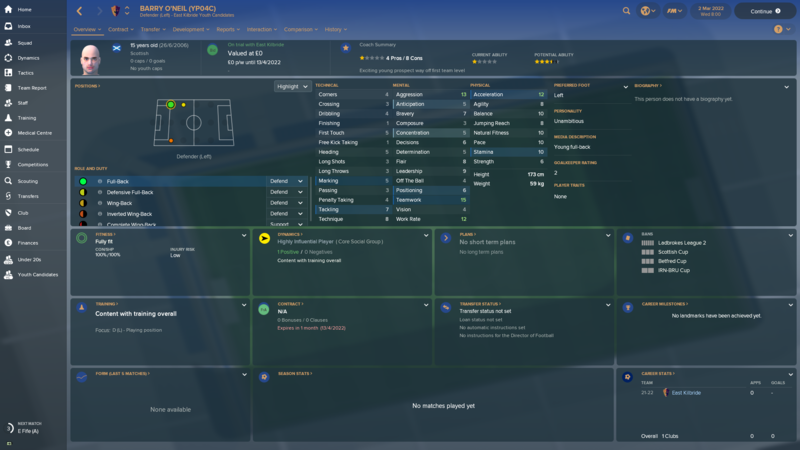 Signed everyone as I only had 3-4 youth players at the club. Tom Willemse 1C - Lacking in the technical department but seems to be progressing. Made his debut in the last game and scored! 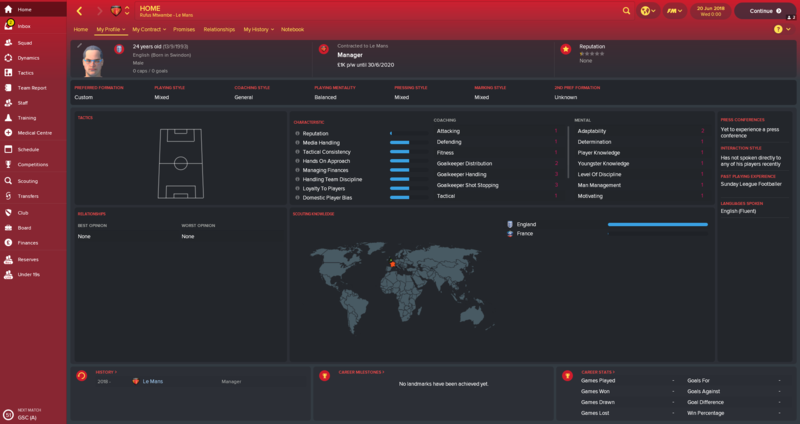 Albert Kuipers 1D - Nothing special but can cover all 3 positions at the back. Rate him as our second RB at the moment if that tells you anything. Any suggestions of fun league to try? @Liverbird93 Sweden is a great country to attempt this challenge. 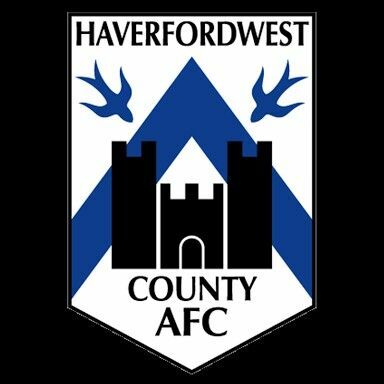 There is plenty of choice when it comes to newly promoted sides, the seasons are short and the youth intakes always seem to be decent in the early years. It can get tough if you make it into Europe as the gap in quality can take a long while to bridge. Russia and Ukraine are both fun. Smaller no of matches, big clubs for domestic challenge, decent money and enough European places for getting games out there. I had fun with Dnipr but couldn't make it. We won every game, what a season! Made it to the Quarter Finals but were edged out. Some more changes to the squad. Finances are looking strong, facilities upgrading once again. A couple of back up players, nothing amazing. And just been offered the Wales job again, hopefully in the next few years I can come close to winning the Champions League. @bigjack.se18 Good luck with bringing glory to Buxton mate. 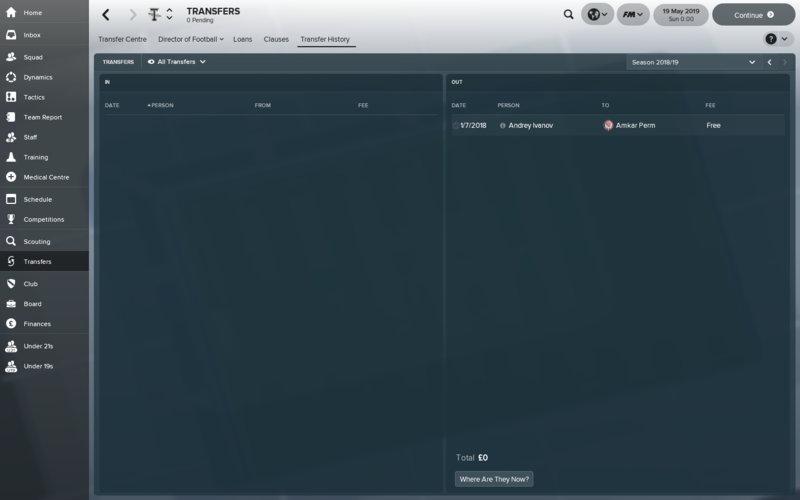 Is there anything you can do about pre arranged transfers joining your team when you first take over? Or is it a case of not signing anyone after that? 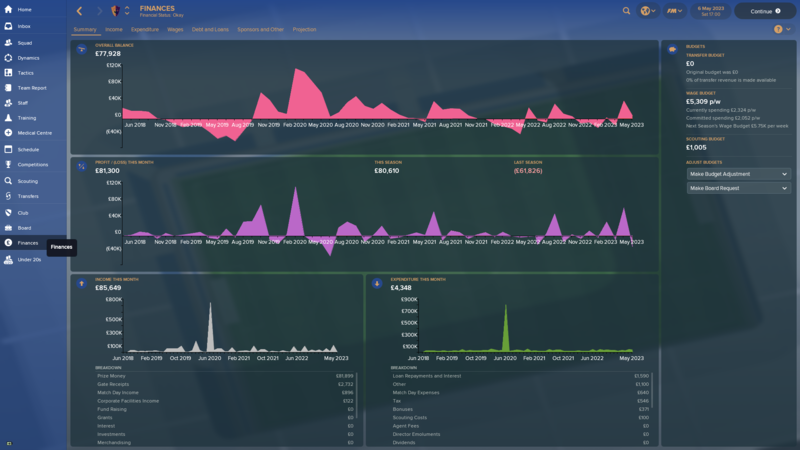 @bigjack.se18 When you are setting your game up make sure to customise the database to include the feeder leagues for the lowest playable league. 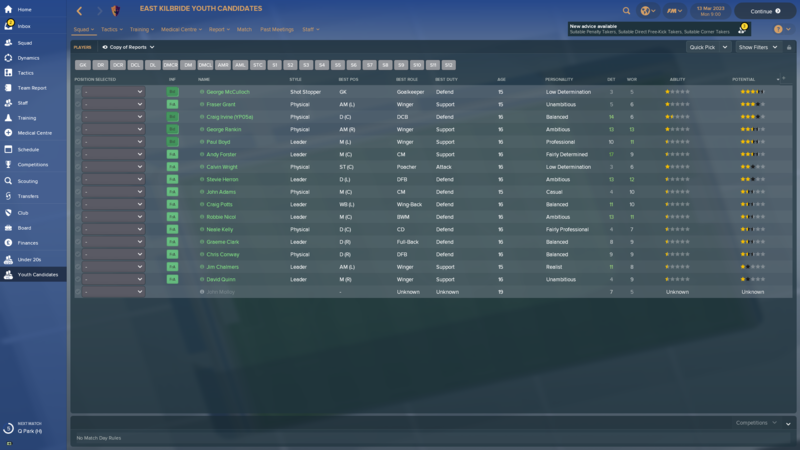 Have a look at the opening post, I would think that Buxton would have a much larger squad than 14. @Liverbird93 If I understand you, you mean players already signed before you joined. 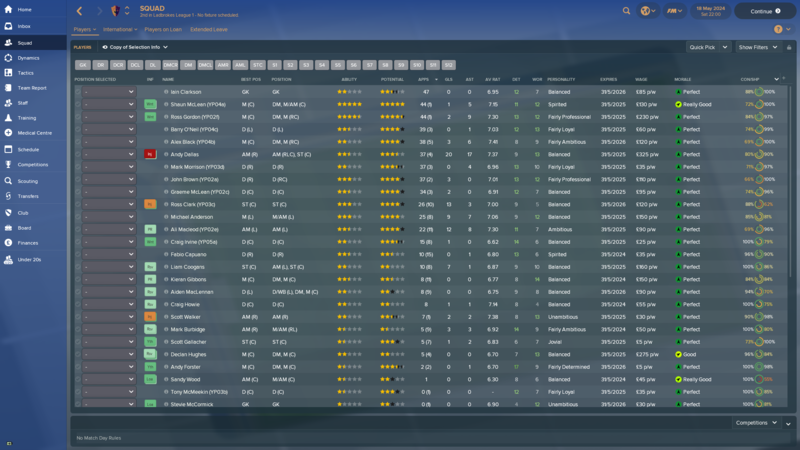 Below is a screenshot of my first seasons transfer history, the previous manager had made 10 signings. 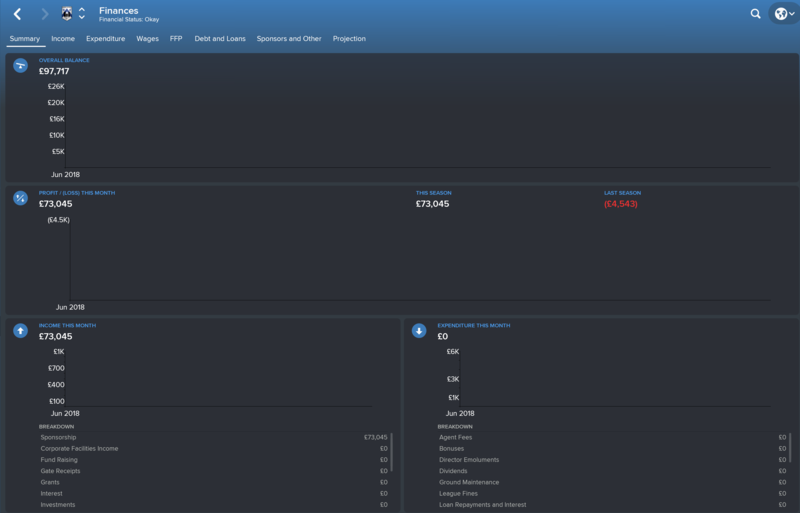 Then obviously once I had taken over (June 24th 2018) there haven't been any more signings since. If it is a signing pre-arranged but not yet completed, I think that may be questionable. Cups (Results) - An uneventful start in the Betfred cup and a poor showing in the Scottish cup are not worth going into any detail. However, we had a great run in the IRN BRU cup, which I assume is a Scottish version of the Checkatrade trophy as no premiership teams enter. The highlight of the run was a 6-0 thumping of Northern Irish team Linfield, who are also invited to this competition. We made it all the way to the final and in a close game unfortunately lost to Partick Thistle in the final. 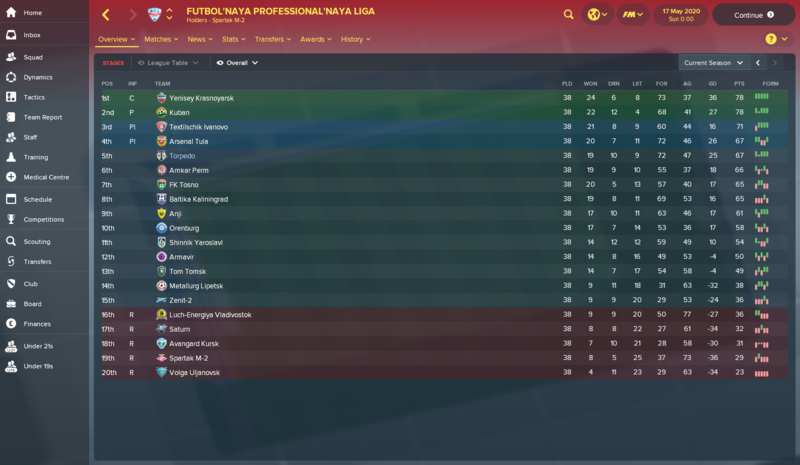 League (Final Table | Results) - This was an incredibly fun and in the end tense season, which the final league table shows went down to the wire. Our form was fantastic throughout the whole season, however a loss here and there was enough to allow Stranraer to match us. We kept pace with each other for the whole season. In the January transfer window we lost an important striker Craig Cameron (YP02d) and looked less threatening after that. 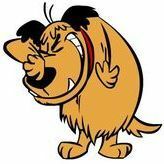 Nearing the end of the season and we lost at home to Stranraer to give them a 4 point lead. With the playoffs secured already, I had accepted my fate. Then to my delight Stranraer faulted and started dropping points. A draw in our penultimate game, took us to the top on goal difference and by winning the last game we secured the title. The board expected promotion by being champions and the media had us as heavy favourites, but to actually manage it is very satisfying. 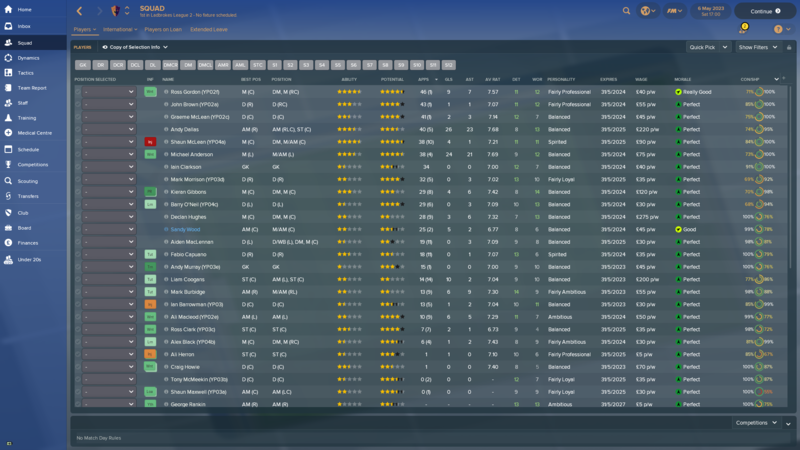 The first intake where I am unsure if any players will reach the first team. One player was tagged and will be watched closely. Craig Irvine (YP05a) - Not a bad defender, no worse than any of the best from previous intakes, however now there is a queue for first team action and he may not get it. As mentioned above, we lost Cameron to Hamiliton in January. Several other players are heavily wanted by bigger clubs. 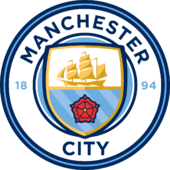 A few of my best prospects are itching to move to a bigger club and this transfer window could see us lose a couple of them. We at least have a bigger squad this time. Our finances are fairly steady, but no improvements to facilities again. 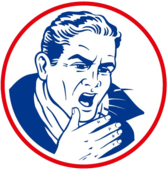 I have manage to get started on another coaching badge though. Judging by the last few years, a 5 star potential prospect in my team can with luck reach the ability of Championship player, as a couple of my better intakes have shown. So I am quite content with keeping things as they are for the time being. 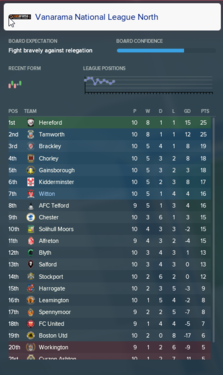 Hoping this time, we survive in league 1. Coaches of england. How are you doing this? But my finances worries me. Then how the hell are you guys doing it? Improving facilities is a no. - Improving youth coaching perphaps when they ask me what to do with money if they have. - Get a HoYD with (resolute, drive, determined, professional, etc) and that resembles my tactic? FA cup runs? I wont last more than 2 or 3 rounds. Any advice will be welcomed. thank you. And the best wishes for your managerial carreer! Question, does it matter if i simulated beyond the first season? So my game is in the third season and I was looking at some of the major European clubs and noticed they all have like 3 youth players. This concerns me on a few different levels, to make it short I'm thinking of starting over and adding the top European countries as view only. Ok so after thinking about it I have decided to start a new one with Merthyr Town F.C. So here it is, the young inexperienced American takes charge of the Welsh team competing in England. I'm committed to this save and look forward to where it goes! Season 1 finished with Torpedo Moscow finished 8th in the league. After completing the Big Euro Challenge in FM14 - which took me 30 seasons - I'm up for a new challenge. 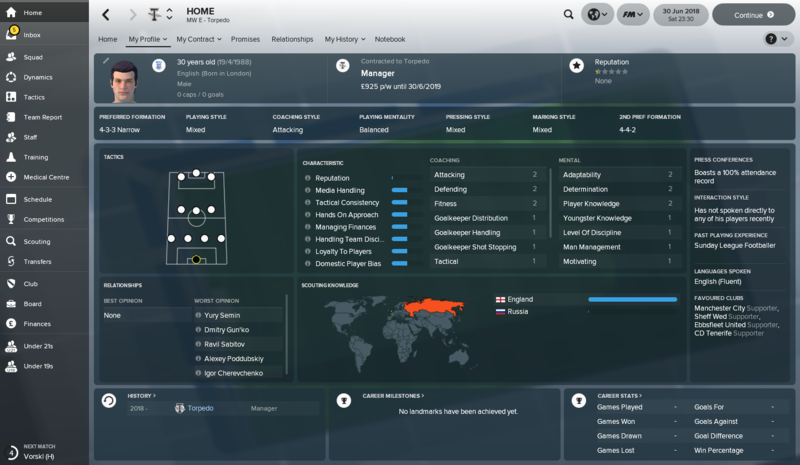 I'll be starting in Croatia (restart date is July 20th) , as a Faroese manager: Jørgen Hansen who has been appointed as new boss at Stanovi Stadion. 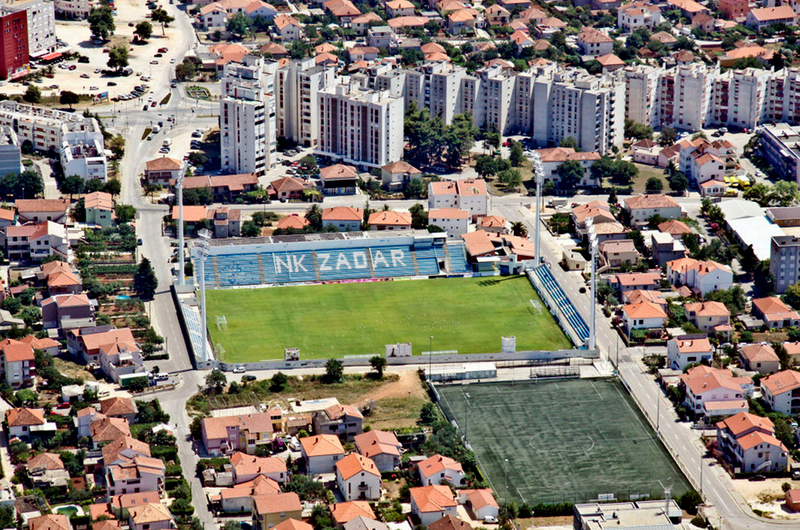 The board is expecting a mid-table finnish for NK Zadar and so do I. Our facilities are pretty decent for this level and our youth team gives me a good feeling we can fight for a spot in the top flight in the next couple of seasons. Thinking about getting back to the challenge, but with playing in FMT, i searched for a couple of clubs in a specific country and they all have like 16-17 players. Dunno if one can make it through the season like this. Anyone managed to do it with under 17 players? 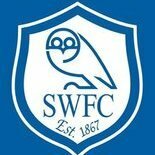 League - First season in charge and after looking at our squad I saw enough to see we shouldn't have to worry about a relegation fight. We started off very well and made it up to 2nd place for a 2 week period before sliding down to the playoff spots in 7th. We spent much of the 2nd half of the season here and were unlucky to miss out by 1 point! It came down to a poor month stretch in February which saw us only pick up 2 points in 6 games. 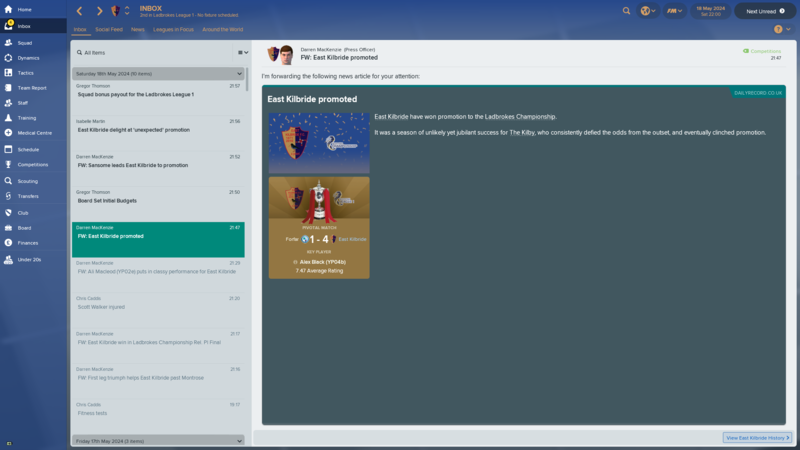 All in all it was a good season which earned me Manager of the Year but coming so close to a playoff spot certainly left us a bit disappointed. 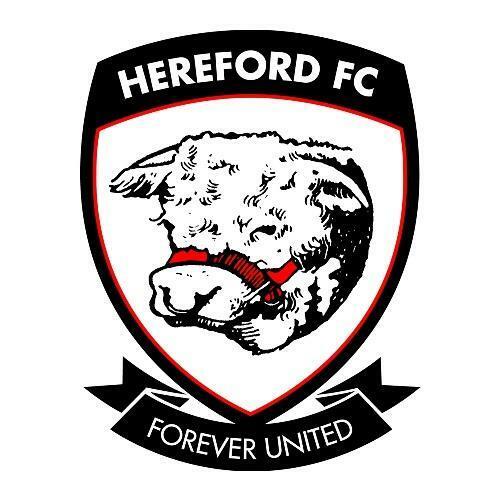 FA Trophy - Knocked out in First Round in replay with Salford. Not bothered as I was using this competition to rotate players in. 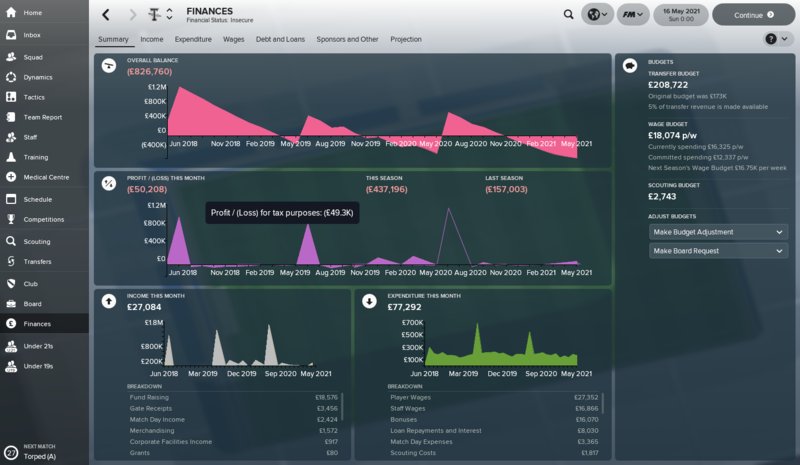 Finances - In the red, steadily bleed money throughout the season and without getting an FA cup run saw us end in the red. This limited us to just a Junior Coaching and Youth Recruitment increase. 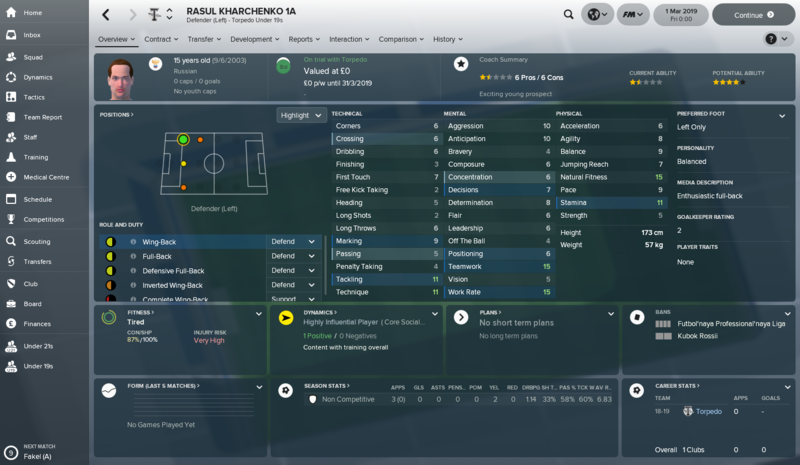 Youth Intake - A good intake which saw us add a starting LB and ST for next year with one of our joint top scorers retiring. Personalities are not good and will be looking for this to improve in future intakes. Matt Hall 19C - Has good speed and will be played as a ST in the rotation next year, bad personality that I'm hoping I can improve with some tutoring. 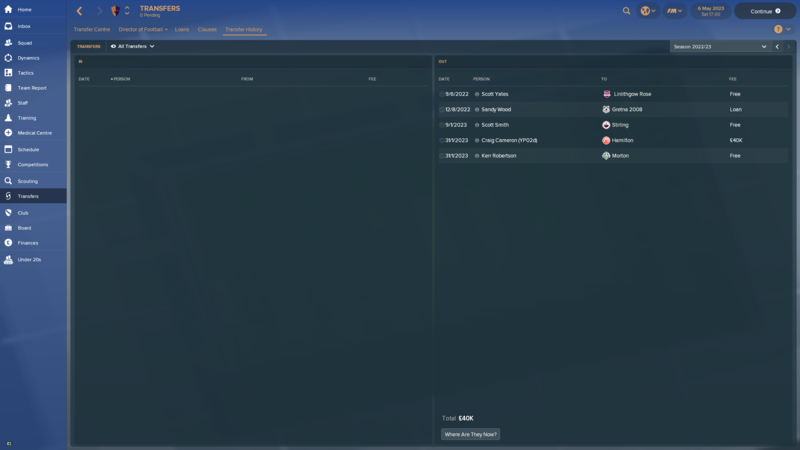 Cups (Results) - With league survival being the priority I gave my 'B' team a chance to play in the cup games, we performed well enough but nothing to write about. 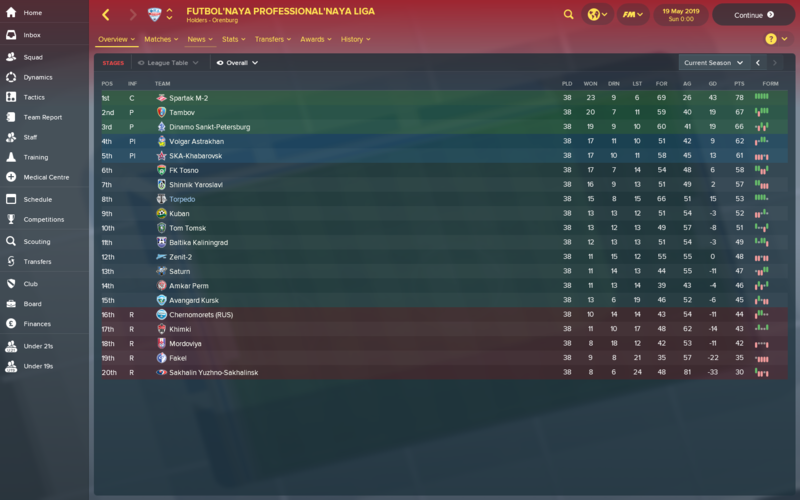 League (Final Table | Results) - The failure in our first season in league 1 was still fresh in the memory, so this season I was determined to avoid that. My board expected a top half finish and the league preview have us finishing 5th so it seemed like we were considered as a more competitive squad. We started well and against all my expectations we found ourselves top. 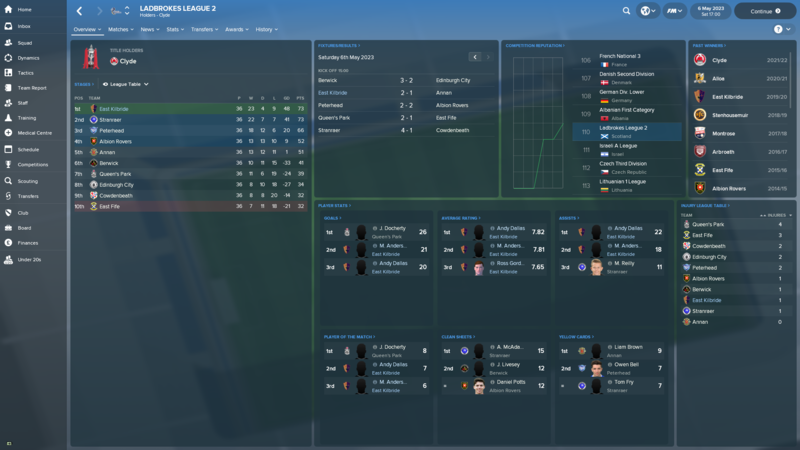 I expected this to just be a strong start, but to my surprise our form held pretty well. The tougher away games we still struggled, but throughout the whole year we never dropped below second position. 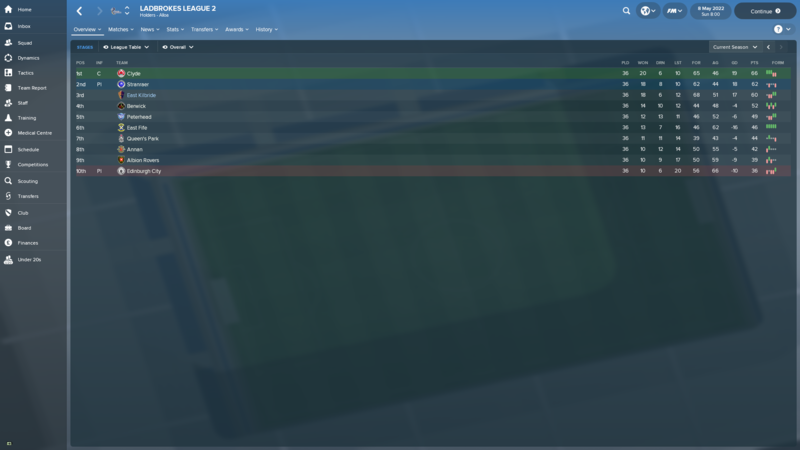 Queen of the South finished the season really strongly and won the league comfortably in the end, we finished a clear 2nd and entered the playoffs. 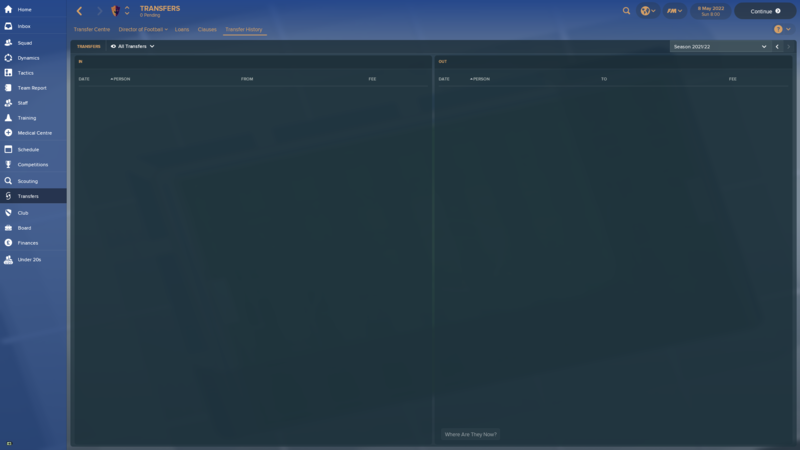 The semi-final was against St Mirren, we held them to 0-0 at their place and then demolished them 5-1 at home. 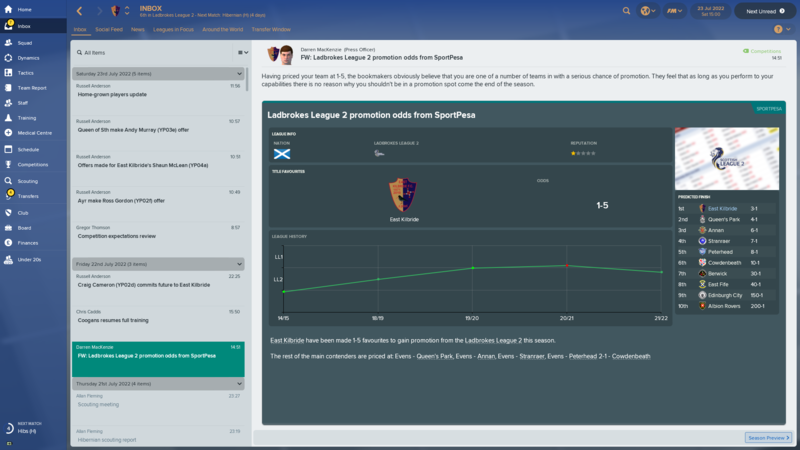 Montrose had made the final after finishing 4th in the league, so we were the favourites. We came from behind to win 2-1 in the away leg. Going into the 2nd leg knowing it was ours to lose was great and by half time, I knew we had it in the bag. The end result was a 6-2 aggregate win. We are promoted to the Championship. 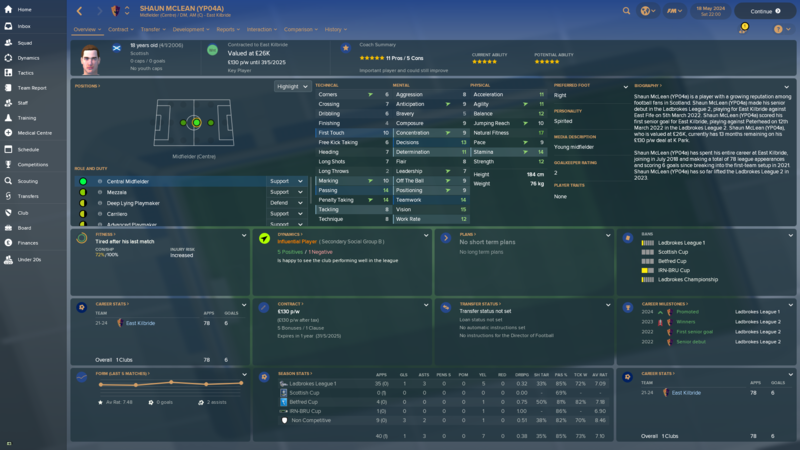 One player I have has all the big teams interested and I know I will lose him, so before I do here is Shaun McClean (YP04a), he's been really good over the last couple of years. Brian McManus (YP06a) - Not a bad looking forward, however refuses to be tutored and I already dislike him. We shipped out a couple of players who were struggling to get into the first team. 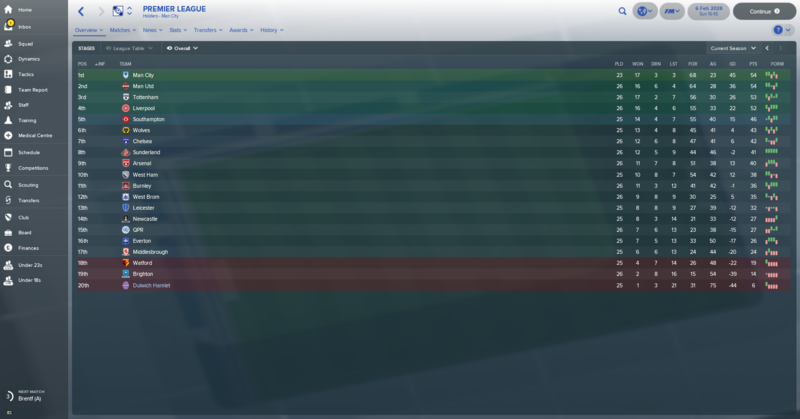 The loss of Heron was a shame, a cheeky 7k bid from Ayr was enough for my chairman to let him go, he was my 2nd choice striker for next year. 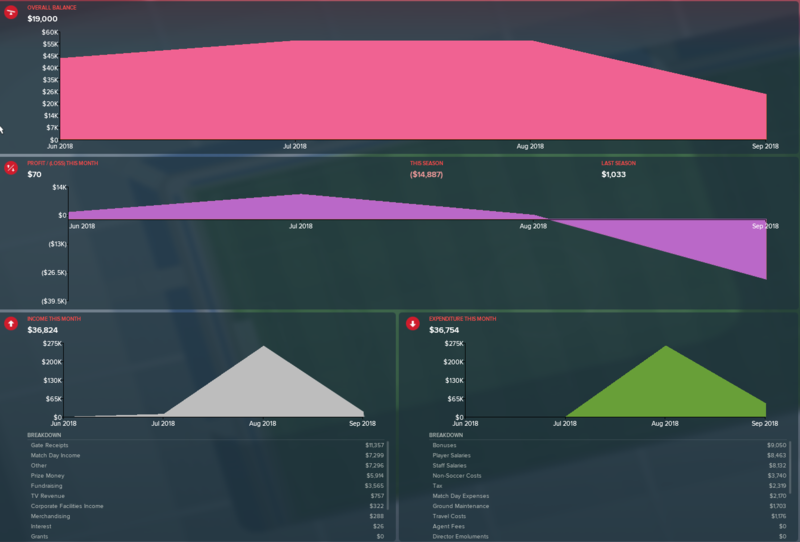 At the end of the season when we had a little money I pushed for an increase in junior coaching and youth recruitment and got them both. Our chairman stepped aside and the I survived the takeover, nothing exciting happening here but it could be a good thing. Thanks @Boyd The Beast, it was unexpected, we have started well in the championship and I think we have enough to survive. Well done on your first season with Merthyr, that youth intake should really help next season. With the new talent and a familiar formation the playoffs should be within your reach. 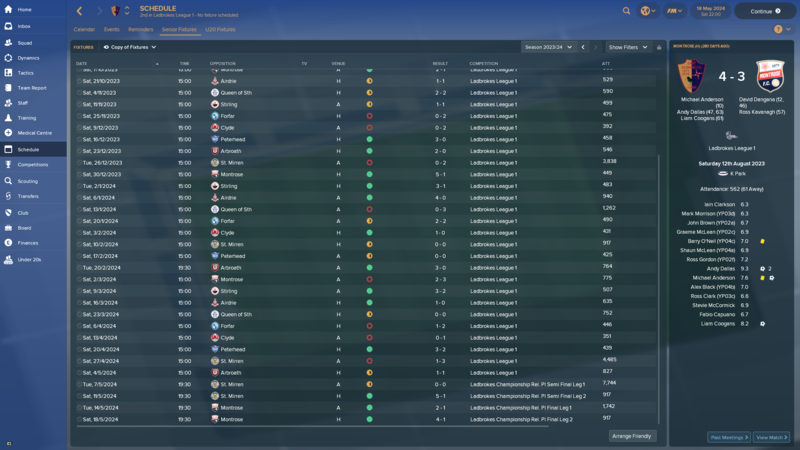 Not played this for a while, but my first season in the PL has been a joyless struggle so far. 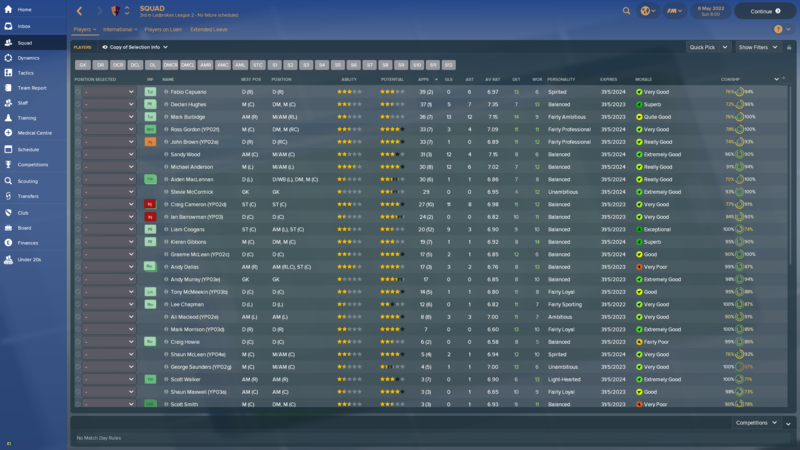 Hopefully I can hold on to my better players when I go down, have £50m in the bank so should be ok. I'll hopefully be moving back to my own stadium soon as still at the Den, my key RB still won't sign a deal and has been playing on a non-contract basis all season. Giving this another bash in Northern Ireland - I couldn't really get into my French save. 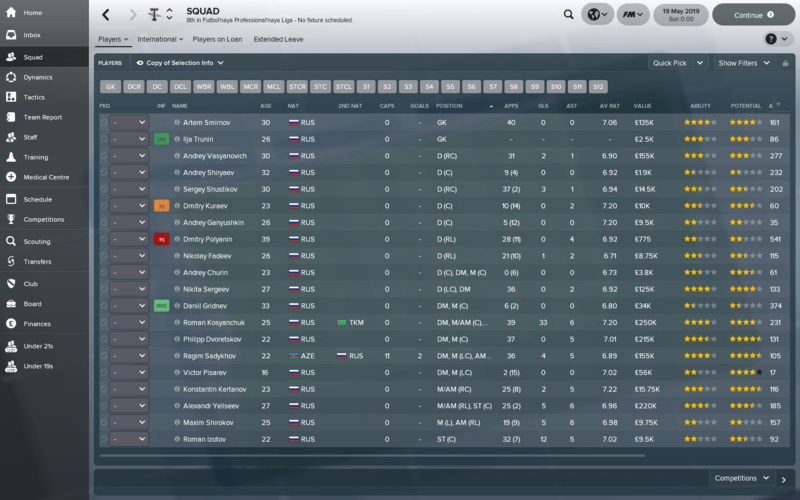 @Ice Ice Gravy - Is your OFK save still going? Been thinking about returning to the challenge and wanted to play in a new league. Was thinking something eastern with few European places and Serbia is a big candidate. Was also considering Croatia but see now @CJ'43 already started there, how is that working? 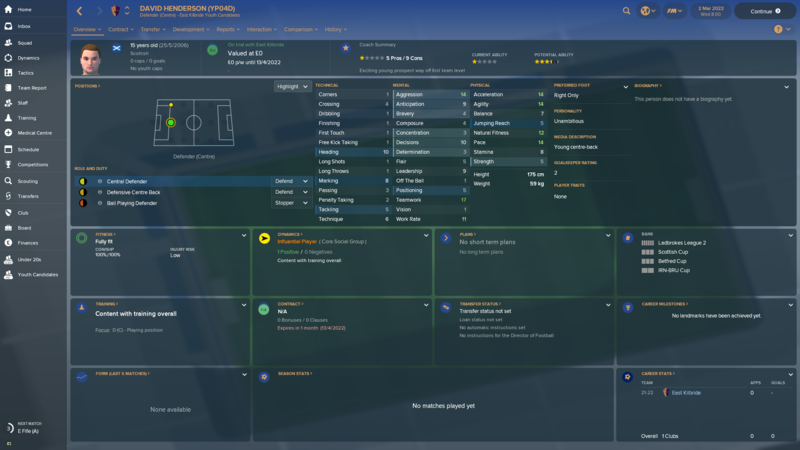 I've taken over a semi-pro side in NI but I can only offer non-contract to my players? 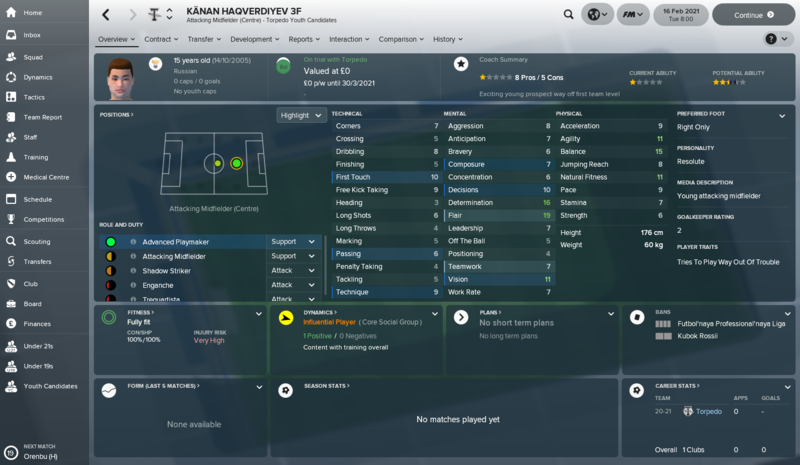 @Ice Ice Gravy - Is your OFK save still going? Been thinking about returning to the challenge and wanted to play in a new league. Was thinking something eastern with few European places and Serbia is a big candidate. Really weird time for you to ask, today is actually the first day I've picked the save up in 2 months! 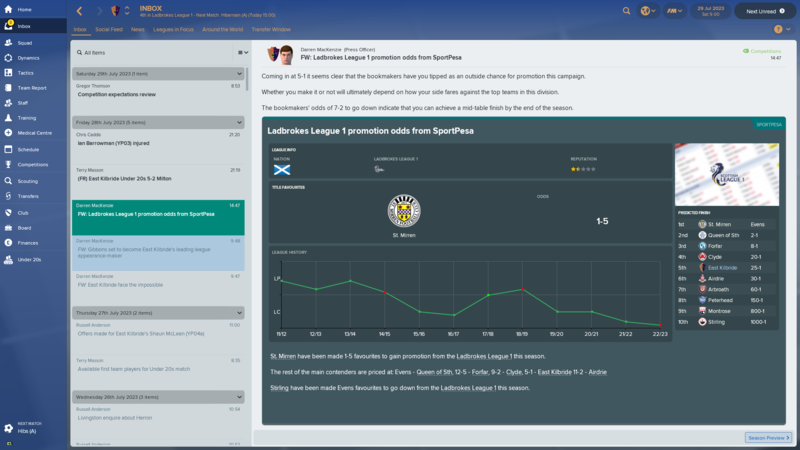 I haven't had as much time to play FM, and what little I have had has been on the Tour of Challenges (that's not going too well for me). 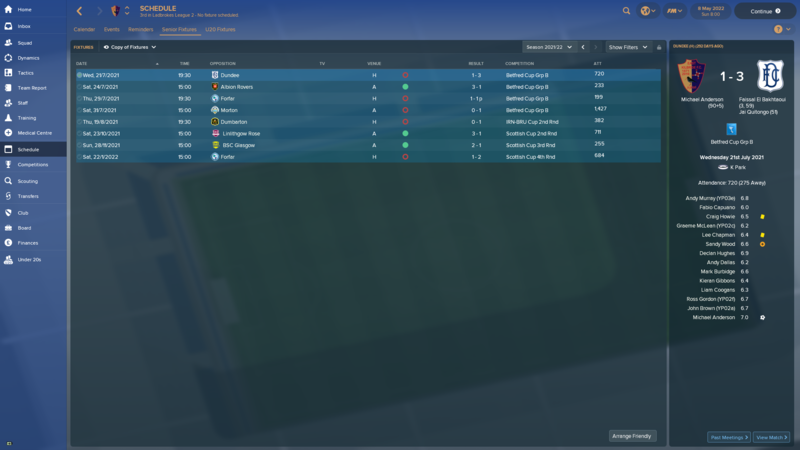 I guess I'd fallen out of the idea of a European save as I thought I could reach the top domestically pretty quickly, and so thought about starting again in England (I wasted a Sunday afternoon/evening a few weeks ago to get Farsley Celtic). But I've really enjoyed picking OFK up today so think that still has some legs. League - Coming into the second season I felt we had a good chance at getting into the playoffs after missing out by 1 point last year. We had a good first intake which I thought would get us over the edge. We started off great and were in 2nd place 7 games into the season and after 14 found ourselves in good position in 4th. Our form started to drop off a bit and were inconsistent in November and December. However things got very disappointing after this as we only won 6 games January onward with 6-2-11 record in the span saw us finish outside the playoffs in 10th. We scored 90 goals in the league but also conceded 87, if we are going to make a promotion bid next year our defense needs to improve. 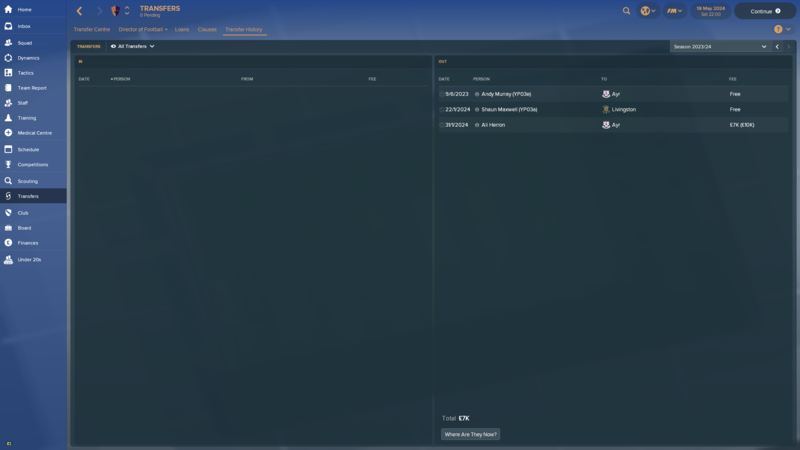 FA Cup - Was hoping to get past the qualifying rounds this time around and get a big money draw but we crashed out in the 4th Qualifying Round again this time at home again National League side Aldershot. FA Trophy - Made it a round farther this time making it to the 2nd round before a disappoint 1-4 defeat to National League side York. As we had a full 7 days before and after this game I played my strongest team so was not too happy by the scoreline. 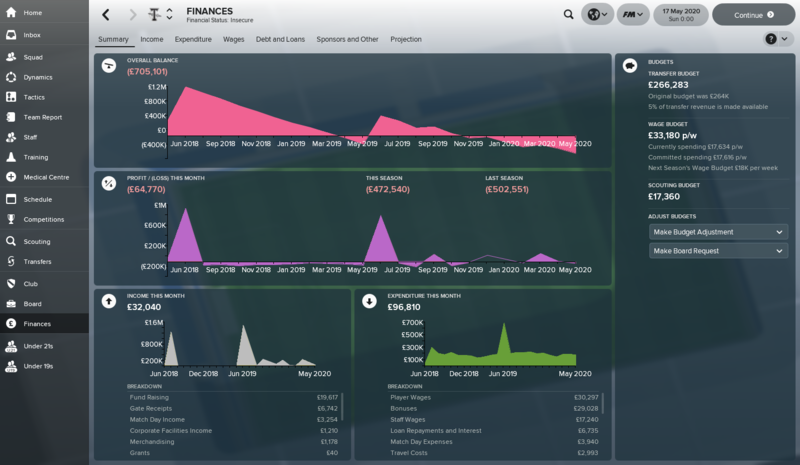 Finances - Not good and went deeper into the red, need to get a promotion and FA cup money before we can make any upgrades. Limited to just Junior Coaching and Youth Recruitment increase. Adrian Rees 20A - A very good defensive minded CM who started 6 games and 3 sub appearances after the intake. Fantastic mental with 17 team work and 16 work rate! 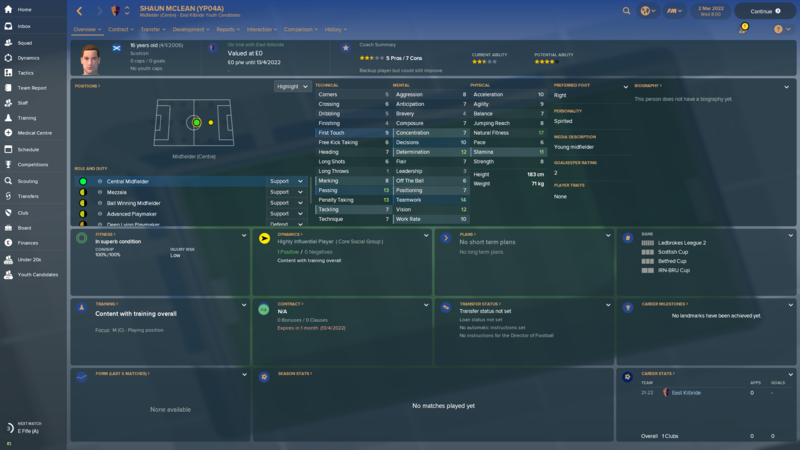 Jon Jones 20C - Another striker who has potential, like Llewellyn won't be a starter next year due to the first intake producing so many options at the position. I assure you it's all due go my psychic abilites and not just a weird coincidence ☺. Will be probably joining later today after putting on hours in deciding a country and club. Time to get back in the challenge. After a lot of looking around I decided the best option was to go back to the beloved Greece where I had such much fun last year. 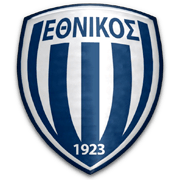 Presenting Ethnikos Piraeus (a club with a rich history but unfortunately fallen out of favor in the last years). Our trophy cabinet isn't entirely empty with a Cup the most notable. 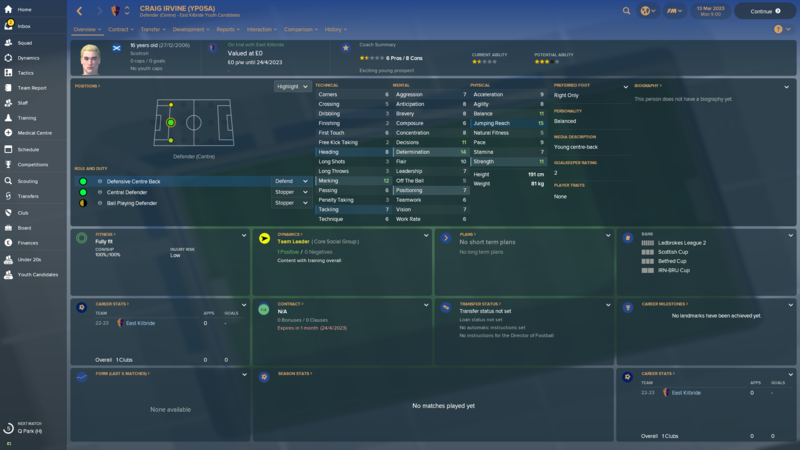 Introducing the manager - Athanasios Gavrilidis (that should be a good enough Greek name, sorry for forgetting the profile page in the first day). The difference from last year is that Ethnikos don't have good facilities or stadium. 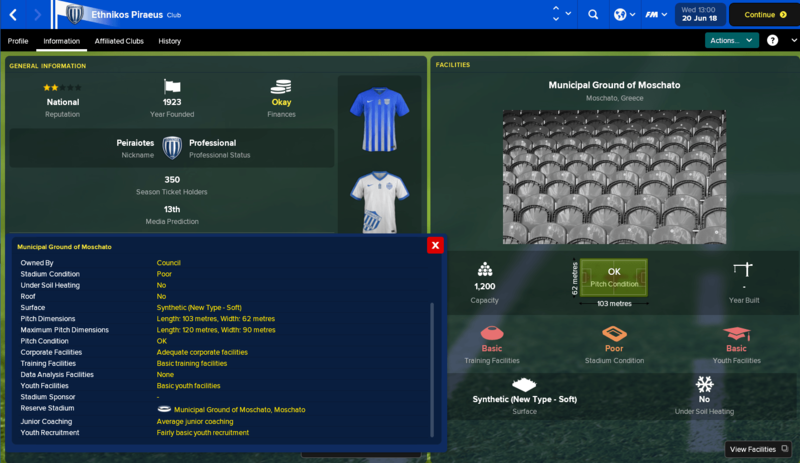 We should be looking to improve the facilities ASAP, while regarding the stadium, theoretically in real life if we get back to Superleague we have the option of joining Olimpiacos at Karaiskakis, but hardly doubted this is implemented in the game. 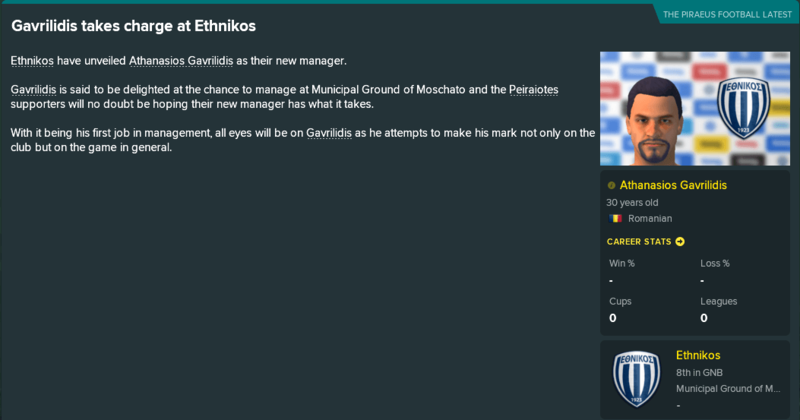 One of the first tasks is to fill in the staff of the club, as at the moment it's only me here. 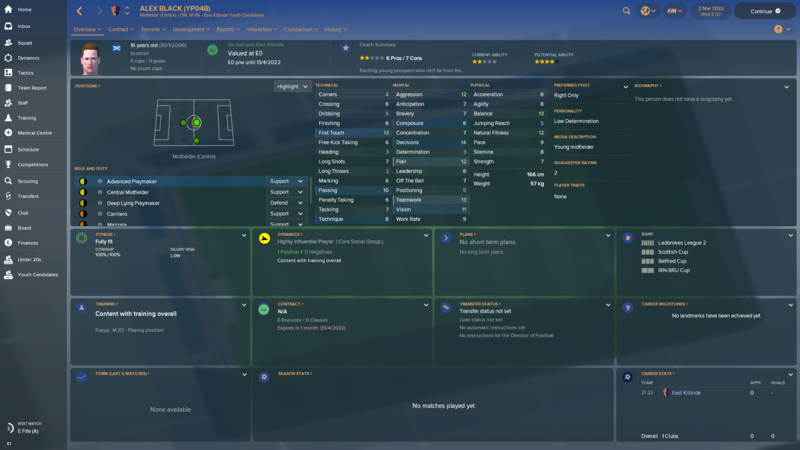 A small squad (part 1, part 2) with another confirmed transfer of a goalkeeper when I arrived. On the positive side, we are not predicted to finish last, but actually on 13th, best team of the newly promoted, and if my knowledge of the Greek second league is true, anything can happen, although relegated Larisa and Levadaiakos, as well as OFI Crete might be pretty hard to crack.